it is so easy to install. 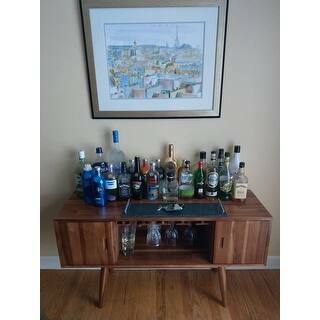 Create the perfect space for entertaining with this stunning Lund mid-century bar cabinet from Carson Carrington. 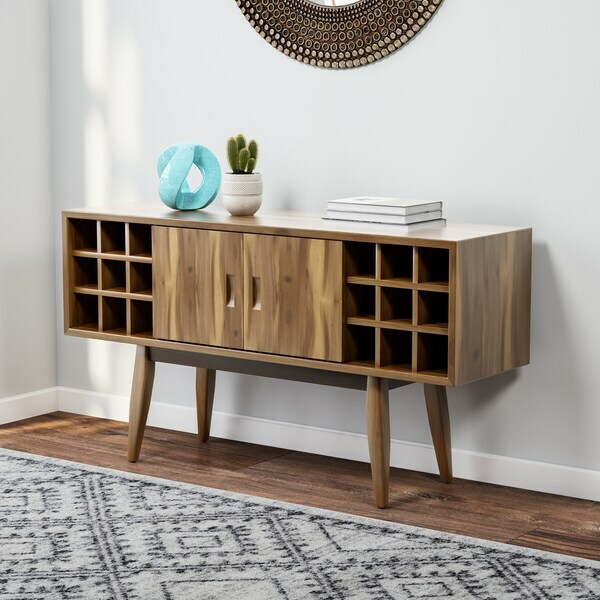 The beautiful piece is crafted from Acacia wood with a light oak finish, and features a low profile design with angled tapered legs. The cabinet includes 18 cubbies for holding your favorite vintages, and a cupboard with slots for hanging glasses, hidden behind sliding doors. Great bar for our hallway. 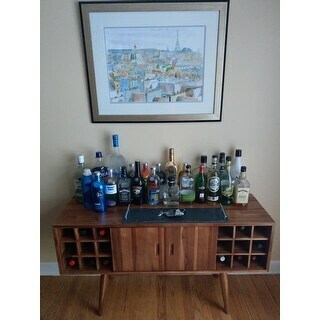 We wanted something that would match our living room and our formal dining room as this sits against the stairs between the two areas.only wish is it was bigger as we had to put all the liquor bottle in the cabinet lying down. I didn't like how little the slots are to put your wine glasses in. I thought it was a one size fits all type of case. Other than that it was beautiful.